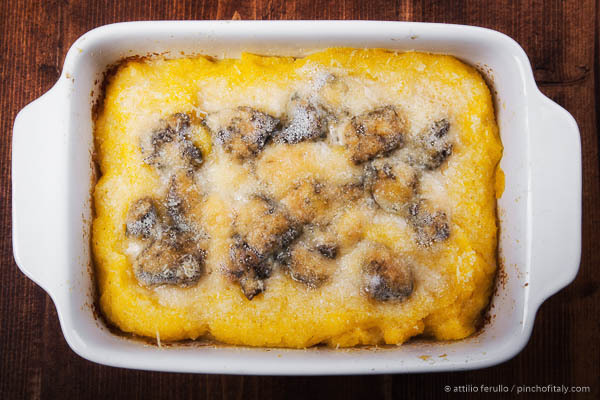 Lasagna made with polenta and gorgonzola cheese is one of the many ways that Italian corn flour can be made. 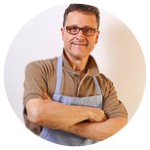 It isn't precise and like any traditional Italian recipe it varies from family to family. 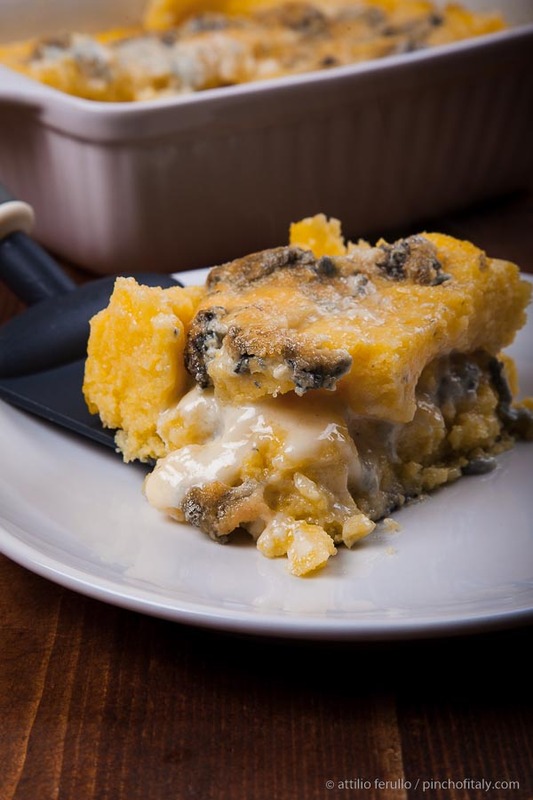 In general, we can say that the layers of polenta should alternate those of gorgonzola cheese, it's almost like layering a lasagna hence called in Italian “lasagna di polenta”. Almost prepared in Aosta Valley and Lombardy region and can slightly change depending on the type of cheese used. "THEN YOU'RE GONNA LOVE ME." 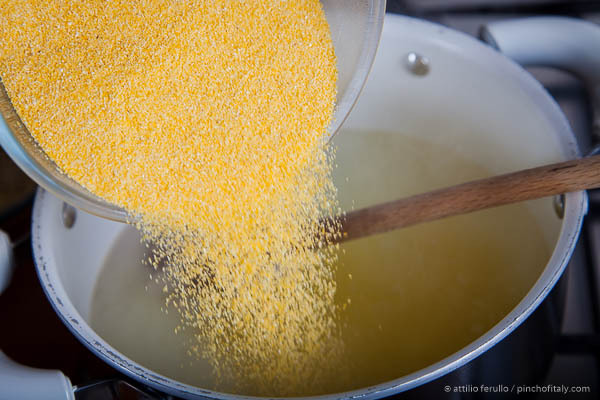 Bring to a boil 8 oz (1½ lt.) of water and once boiling pour slowly the polenta in and add 1 tsp (5g) of salt and 1 tbsp (15 ml) of extra virgin olive oil. Begin to stir so to prevent that it sticks to the bottom. Stir all the time it takes to cook in the meanwhile add a pinch of salt and a tablespoon of extra virgin olive oil. 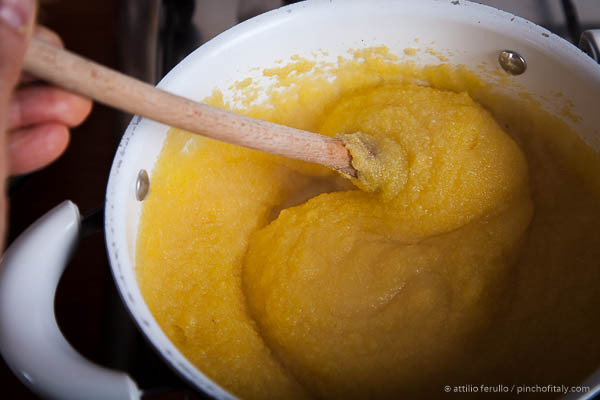 Constantly stir until polenta is cooked and just lookout when it turns firm and solid because it’s the sign of ready. Grease a baking dish which measures about 8"x6"x2" (20x15x5cm) with olive oil or a nut of butter. 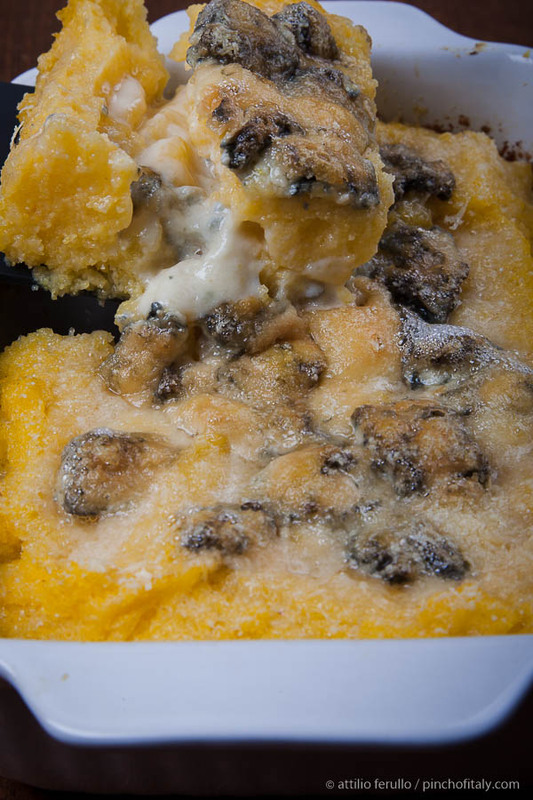 Cover the bottom with the first layer of soft polenta helping yourself with a spatula. 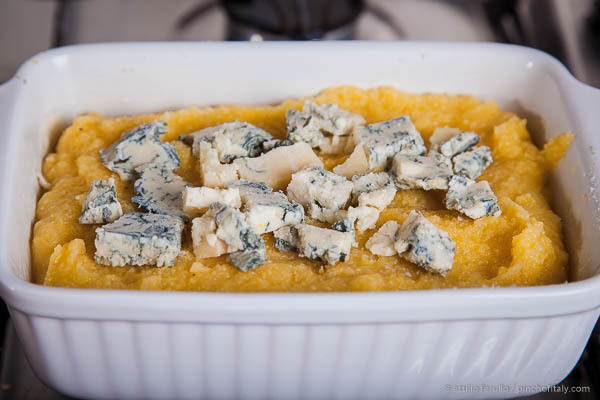 Take all the gorgonzola cheese and make it in chunks, add half of it to this first layer of polenta and add about half of parmigiano cheese too. 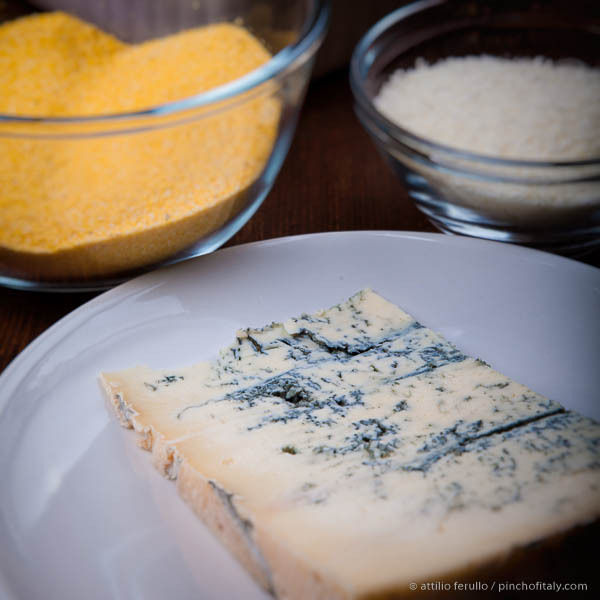 Now lay the second layer with the other half of polenta, gorgonzola and parmigiano cheese repeating the same as above. 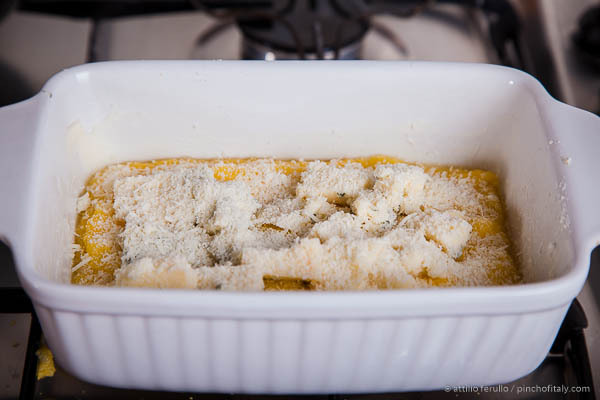 Finish with a generous sprinkle of grated parmigiano or grana padano cheese. Bake in the oven for about 15-20 minutes at 350°F (180°C). 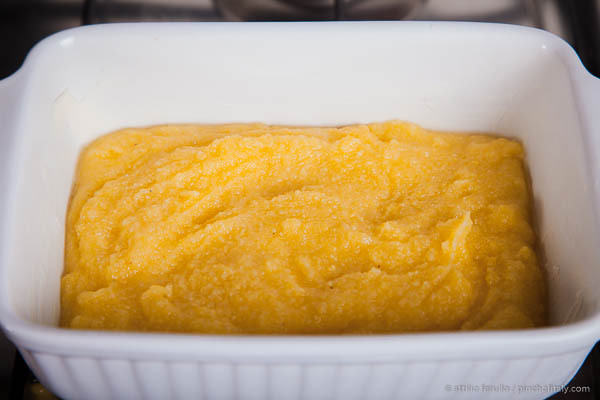 In about 6 cups (1½ lt.) of boiling water pour in 8 oz (225g) of instant polenta. Add 1 tsp (5g) of salt and 1 tbsp (15 ml) of extra virgin olive oil. 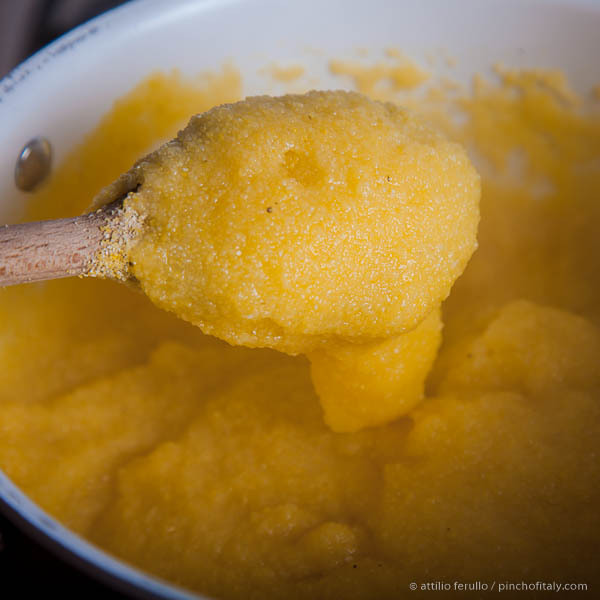 Stir constantly until polenta is cooked. 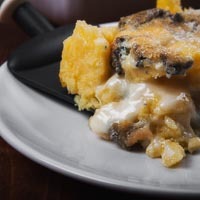 Grease a baking dish with a nut of butter or olive oil. 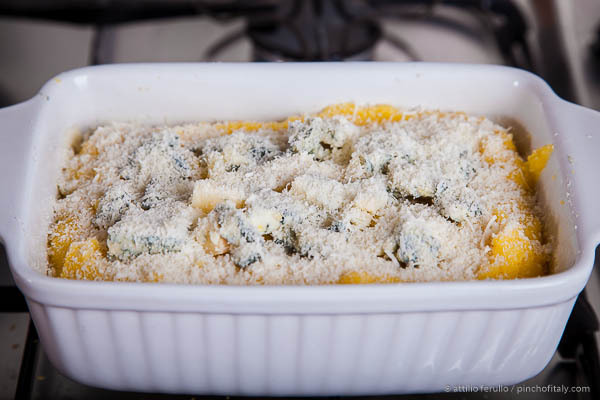 Cover the bottom with a layer of polenta and half of diced gorgonzola and parmigiano cheese. 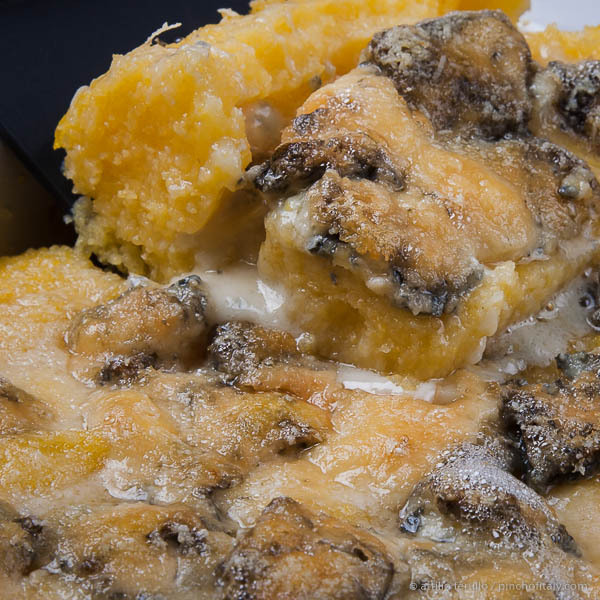 Cover with another layer of polenta (help yourself with a spatula) and gorgonzola. Finish with a generous sprinkle of other grated parmigiano cheese. Bake at least for 15-20 minutes at 350°F (180°C) before serving. 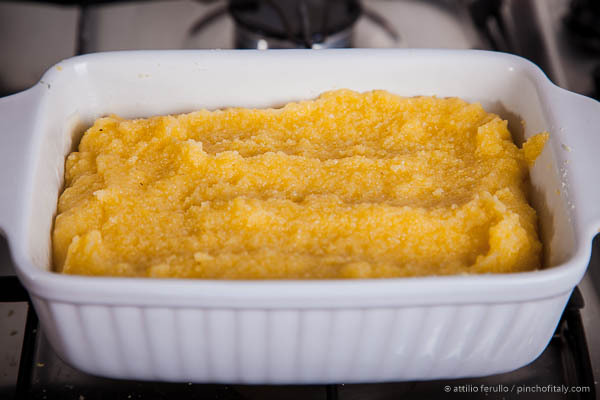 NOTE: If you have more time instead of istant polenta you can use the classic corn flour. If you go for the classic keep in mind that it will take about 45 minutes to cook.